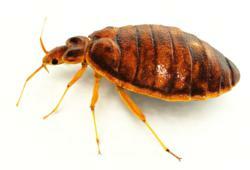 Sioux Falls South Dakota took steps to get ahead of bed bugs. However, for a safer way to prevent and eliminate the pests, BedBugBully.com suggested that the city should use a pesticide-exempt bed bug spray instead of chemical-based solutions. ...the use of chemicals can harm the health of the residents and can release more pollutants to the environment. Sioux Falls, South Dakota was taking steps to prevent the increase of bed bug cases, a report from argusleader.com said. Officials of the city said that being aggressive in their fight against the pests is the key to preventing more bed bug complaints, added the report. However, to protect the environment and the health of the residents, BedBugBully.com suggested that the city should skip the use of chemicals to prevent and eliminate bed bugs. According to the report, Sioux Falls only got a minimal bed bug problem. The city has recorded only 20 to 24 bed bug complaints each year as it was detailed. And to prevent that number from going up, actions were taken by the city government, the report said. Based on the report, one step that the city already took to fight off bed bugs was to spread awareness about the pests from identifying to eliminating them. On May 10, it was said a news conference was held to educate the public. Apart from that, the report added that the city had also been conducting yearly routine lodging inspection to prevent bed bug complaints. “A single bed bug infestation can lead to a widespread of the blood-sucking pests. And time and time again, it was proven that they spread quick. Just take, for example, how fast the bed bug epidemic spread in big cities as New York. Online company BedBugBully.com said that the Sioux Falls' steps to prevent more bed bug cases are commendable. Nonetheless, officials must consider ditching the use of chemicals, it said. According to the website, the use of chemicals can harm the health of the residents and can release more pollutants to the environment. Hence, the city should use a safer alternative, it added. For a safe bed bug prevention and elimination, the site recommended the use Bed Bug Bully. Because it is made from natural ingredients, this bed bug spray poses no risk to health and the environment, said the website. Additionally, as it is pesticide-exempt, it requires no evacuation when used. For a complimentary sample of Bed Bug Bully, go to http://www.bedbugbully.com today.